9 bathroom decor mistakes it's easy to make - and fix! 9 bathroom decor mistakes it's easy to make—and fix! Renovating the bathroom is a troublesome task that puts the entire family to inconvenience. It's far better to avoid errors in design through good planning, rather than have an 'oops' moment after the bathroom is ready! Today we’ll look at 9 common mistakes in bathroom décor, to help you avoid these blunders and the need to invest time, money and effort in remodelling. 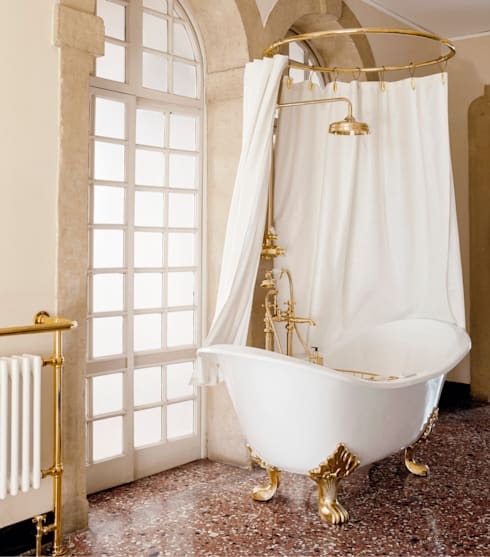 These tips are sure to inspire you with great ideas for building a stunning bathroom, so let’s begin! 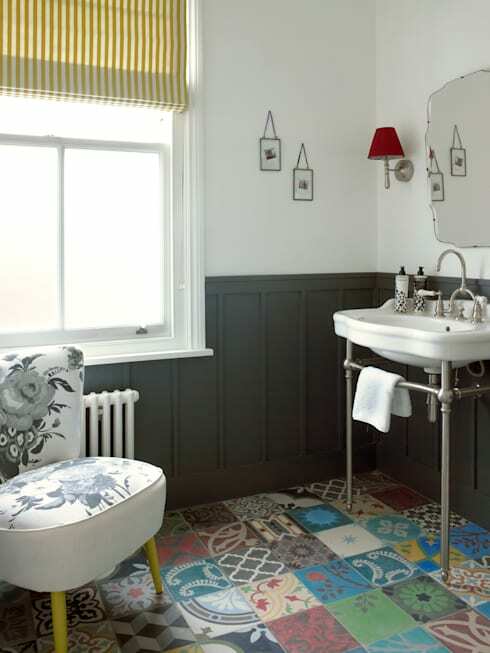 Too many patterned tiles or fussy décor are not ideal for a small bathroom. If the space is already small and cramped, then keep things simple. 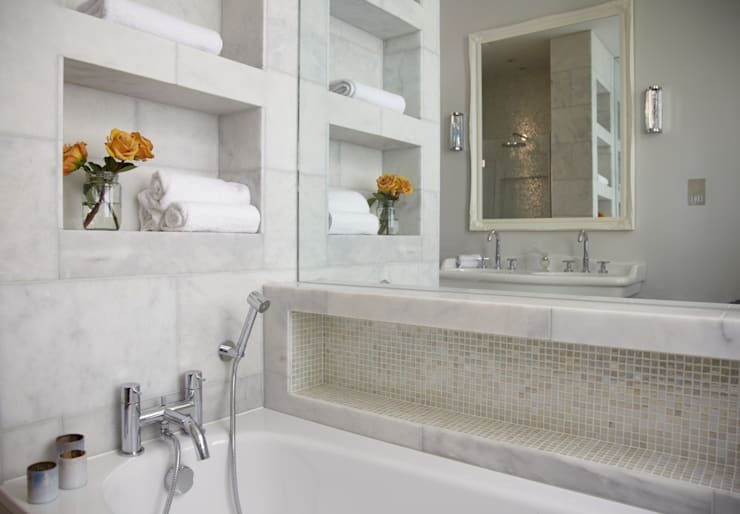 Busy décor that looks good in a large bathroom may be too overwhelming for a compact one. 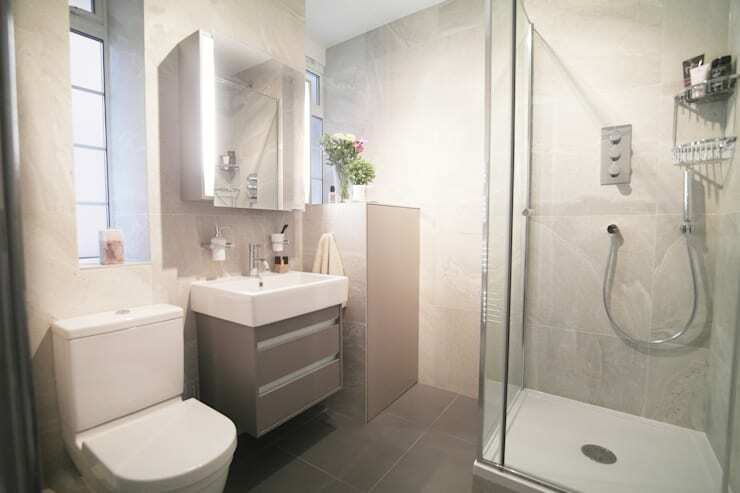 Again, if you have a small bathroom, don’t be influenced by the central location of a washbasin in a large bathroom. The placement of the fittings has to be decided according to the space available. 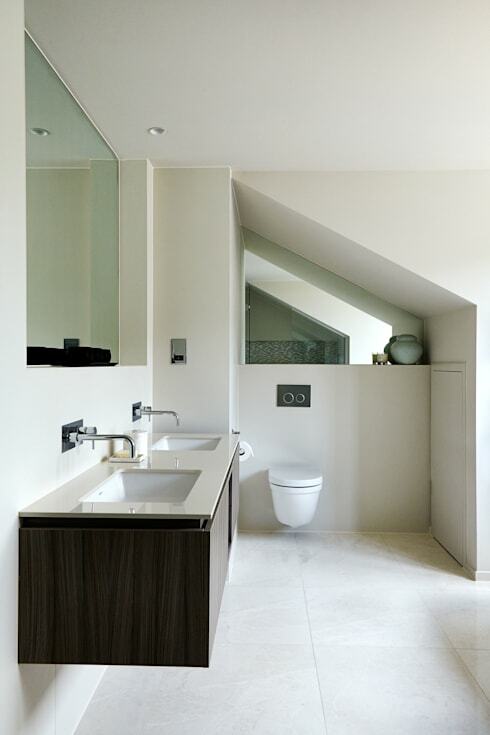 In a small bathroom, the washbasin is best located in a corner to maximise space. A door for the shower cubicle can make a small bathroom looked cramped. Instead, opt for a glass panel or a shower curtain for a more spacious look. 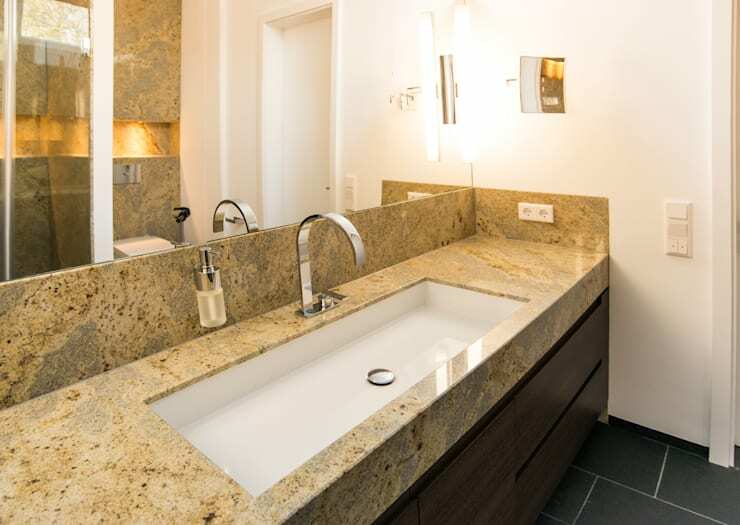 A standard washbasin looks big and bulky. 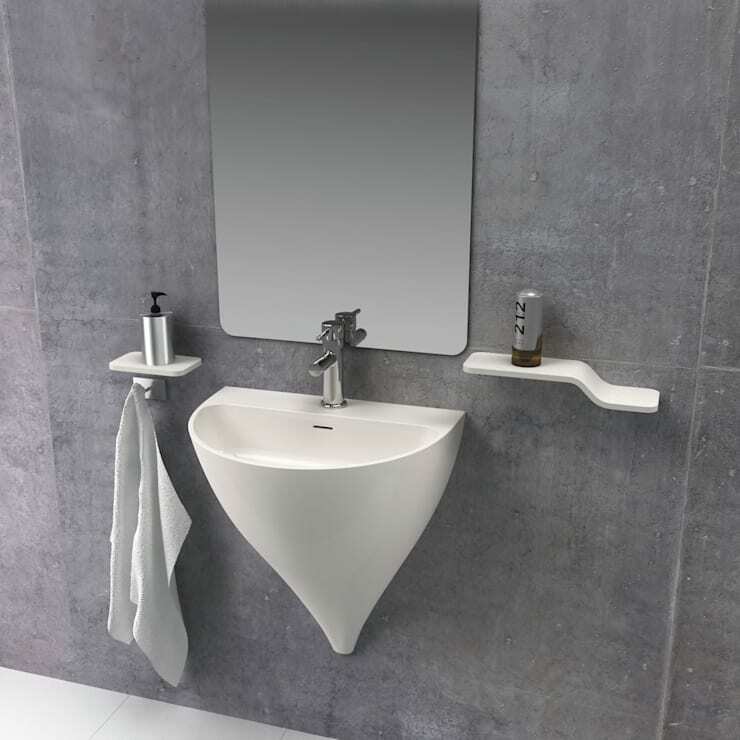 A design like this arc-shaped washbasin in the picture not only occupies less space but also looks much more stylish and trendy! We also love the sleek soap stands. Don’t forget that you’ll need to store your bathroom supplies! Be sure to include storage cabinets in your bathroom décor for a neat look, and to avoid clutter on the floor. Storage below the washbasin also helps to conceal unsightly pipes. A large mirror will look elegant in any size of bathroom! It's a particularly good idea to put a large mirror in a small bathroom, since it creates an illusion of space, with its reflective surface making the room look brighter. Rather than a towel rack, a couple of recesses in the wall are a good space-saving idea for storing bath towels in a small bathroom! 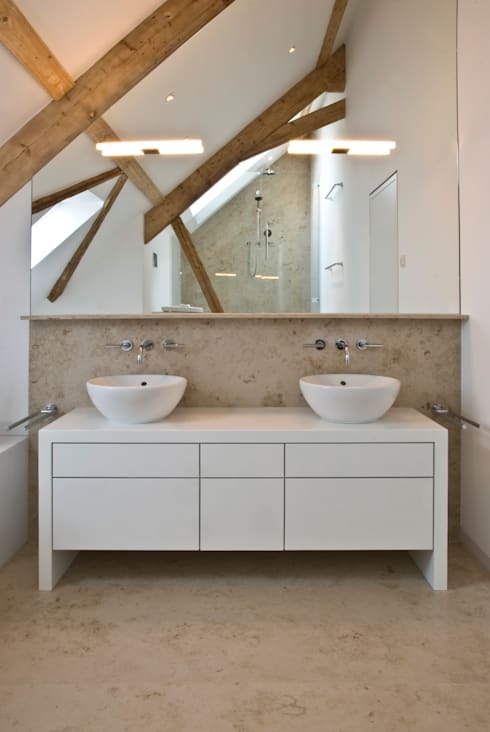 A neat, minimalist design is the best washbasin choice for an uncluttered look in a small bathroom. Too many trills and details will overwhelm what is meant to be a serene and functional space. If your bathroom has a sloping ceiling, you may neglect to use the corner at the lower end. However, this is useful space – don’t waste it! Use it to store smaller items or decorative ornaments. These 9 simple tips will help you remove flaws and arrange your bathroom décor to perfection! Here are few more tricks you're sure to love: 20 beautiful bathrooms where wood is the star. Do you have any other bathroom tips for us?